Simplifies the production implementation of AI models. Develop models where you want. Readily deploy within your transaction applications for real-time insight. Give data science teams the flexibility to build, train and evaluate models using their IDE (Integrated Development Environment) of choice or use the IBM Watson Machine Learning for z/OS extensive model building features that are based on enterprise-grade open source software. Optimize data scientist productivity through extensive IBM Watson Machine Learning for z/OS (WMLz) model building features. WMLz offers several model building modes including notebooks, visual builders, wizards and enhanced intelligence applied to data scientist activities. Automatically normalize, handle missing values and generate data features to make even novice data scientists into experts. Operationalize predictive models within transaction applications, without significant overhead, enabling real-time insight at the point of interaction. WMLz offers several scoring approaches including RESTful APIs and Java and CICS integration, optimized for the highest security and performance levels on IBM Z. Enable data scientists and engineers to schedule continuous re-evaluations of new data to monitor model accuracy over time and be alerted when performance deteriorates. Automatically refresh models to maintain model accuracy with confidence. Deliver essential model versioning, auditing and monitoring as well as high availability, high performance, low latency and machine learning model automation (ML as-a-service). Offer essential foundational templates for common business requirements to bootstrap your machine learning efforts. 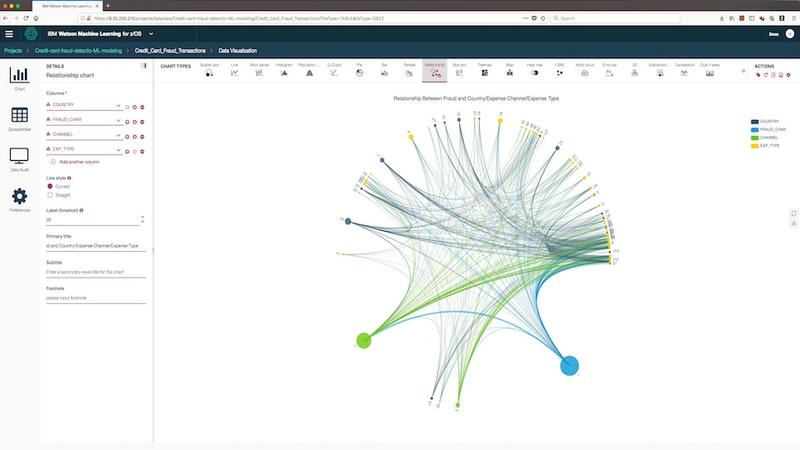 Solution templates demonstrate how machine learning can run alongside your application infrastructure to add value to key business areas including fraud detection, loan approval and IT operational analytics (ITOA). WMLz V2 component requires the following: z/OS V2.2 or z/OS V2.3 with APAR OA52344 applied. The WMLz V2 for Linux component requires Red Hat Enterprise Linux Server 7.4, 7.5, or later; or Ubuntu 18.04, or later; OpenJDK 1.8.0, or later; One additional IP address as a proxy IP for the three Linux systems in the same subnet as the three Linux systems where it connects to the backend on z/OS. One of the following Z systems running IBM z/OS V2.2 or z/OS V2.3 (5650-ZOS) with APAR OA52344 applied to either release: IBM z14, IBM z14 Model ZR1, z13, or zEnterprise EC12 system. It is recommended that clients allocate four or more zIIP1 processors, one general purpose processor, and 100 GB or more memory with 50 GB storage to the LPAR where WMLz will operate.